I recently reviewed a bunch of WordPress plugins that allow you to add notes to the post editing screen. While there are a few decent options out there, none of them did exactly what I was looking for. And I wanted a solution that was easy-to-implement, and used an existing tool that I was already using. Enter: Advanced Custom Fields (ACF, for short). Pretty self-explanatory here. Search for “Advanced Custom Fields” and install the plugin by Elliott Condon. This is where you create a set of rules for when and where you want the author notes to display. I decided to show the notes on ALL posts, pages & custom post types, but only for admins. You could play around with this to get your desired effect. 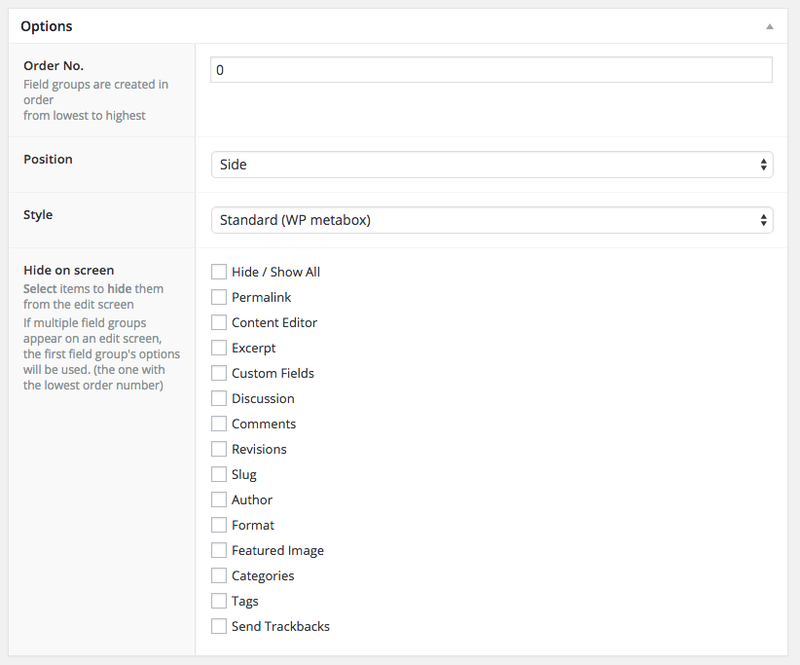 You could only show notes on certain post types, only show them for posts in specific categories or tags, certain page templates, only for draft posts… the options are nearly endless. Update: You might also want to add… and Attachment is not equal to All … to exclude the notes from appearing on your images & other media. Position – Display notes in the main column or the sidebar. NOTE: Individual users can move it around regardless of what’s chosen here. Hide on screen – Choose meta boxes to hide when author notes are displayed. NOTE: I prefer to always leave these unchecked, and use the “Screen Options” tab to show/hide meta boxes. Click the + Add Field button. This is where you select the type of notes you want to be able to add, the name and description of your notes area, etc. Field Type – Choose “Text Area” for plain text notes (no styling). Choose “Wysiwyg Editor” for styled notes, with options to add images, as well. You’re not limited to simply using a textarea field or a WYSIWYG box. Create a “Text Area” field for text notes. Then create a “File” field to upload a PDF. Add an “Image” field to upload an image of a diagram that contains an outline of your post. If you have target publish dates for when you’d like your posts to go live, add a “Date Picker” field to setup a “Publish On:” field. 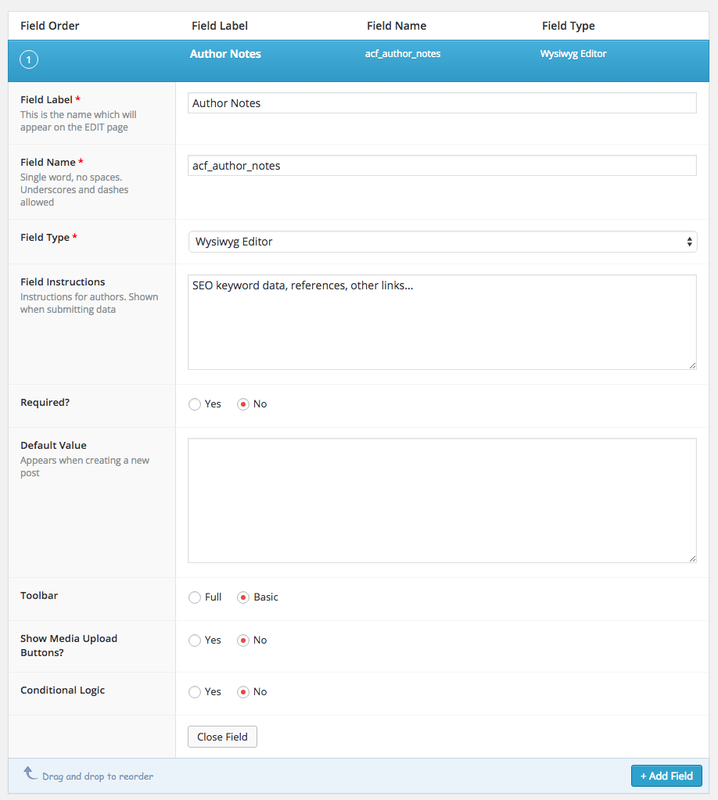 Add a “Checkbox” field type to create a checklist of things the author needs to do before the post is ready to be published. If you have multiple types of content you’re adding to your author notes, think about separating them with ACF’s “Tab” field type. I’d love to hear about your custom setup for author notes in the comments. 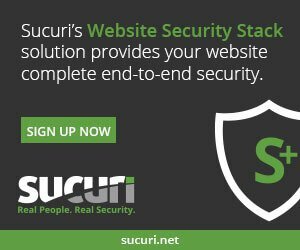 Looking for more Advanced Custom Fields tricks? 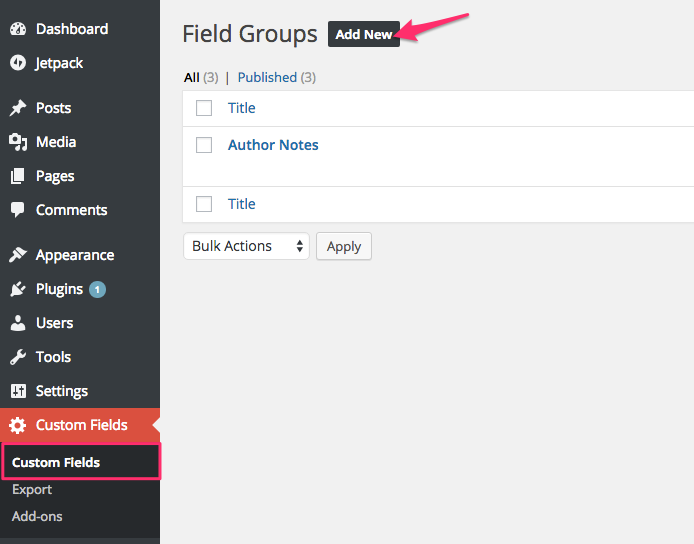 4 Commentson "How to Add Author Notes to WordPress with Advanced Custom Fields"
Great recommendation. No need to add yet another plugin if you’re already using ACF. Why did I never think of this before. You’re welcome! Because ACF is a) powerful, b) widely used, and c) well-supported, I use it for as many things as I can (where it makes sense, of course). Great tip, so simple when you have it pointed out like this! I was looking for a way to add SEO Notes into pages and products, mainly to show primary and related keywords.